Cam Newton’s Times Square Under Armour Billboard Exists! 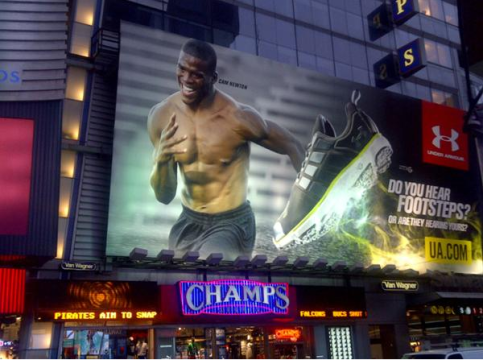 We told you what the new Cam Newton Under Armour billboard looked like… but none of the folks we had hunting for it in Times Square could actually, you know, find it. oh Banksy, please tag that with a bottle of cammy cam juice! WOW–Cam looks like he is chiseled out of steel! And after the highlights video, are there any more doubters about his playing ability?